Nintendo has handled The Legend of Zelda: Breath of the Wild in quite a dissapointing way, after a teaser trailer released two years after the Wii U launched, Nintendo was almost completely silent about it for all of 2015! In early 2016, Nintendo reassured that, while Breath of the Wild was going to release on their new upcoming console (now finally known as the Nintendo Swtich), the Wii U version still existed and would be released simultaneously. 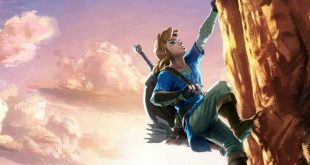 However, according to freelance journalist Laura Kate Dale, Nintendo is planning to not only delay the release of Breath of the Wild to Junes, but its also going to release the Switch version in the United Kingdom one week before the Wii U version (ate the very, with the Switch seeing its release on June 16th 2017, while it will release on the Wii U in the same territory on June 23th 2017. 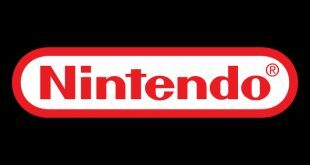 Mrs.Dale has leaked quite the amount of information regarding the Nintendo Switch, from the €200 launch price in the UK, to which games would release as its launch titles. 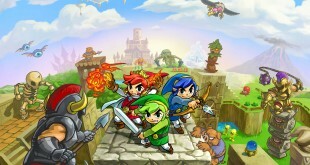 Her sources claimed that Nintendo was aiming for the June release date for The Legend of Zelda: Breath of the Wild, with the original possibility of being a launch title for the Switch on March being discarded due to (According to journalist Emily Rogers) having difficulties regarding the localization and testing of the final product. Long development cycles are pretty much a Zelda staple by this point, with a seven year gap between A Link to the Past and Ocarina of Time, a five year gap between Twilight Princess and Skyward Sword, and now a six year gap between Skyward Sword and Breath of the Wild. What is ultimately upsettiing is that Wii U owners have waited since 2012 for the release of a new Zelda console game, and the fact that the one they are finally going to have might not even be the first version released of it is quite a slap in the face for those who actually spent their money on a Wii U. Someone could argue that Wii U buyers are a minority that doesnt really matter anymore, but those 13 million buyers arent going to forget as easily.